An innovative system of bodywork and movement therapy. 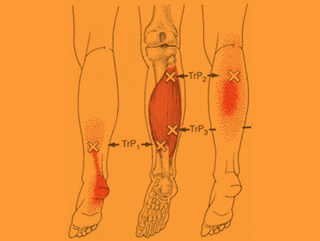 Trigger Point Therapy is the CTB framework for understanding and treating pain. It is a “cutting edge” understanding of the neuromuscular system, pain referral and movement dysfunction. 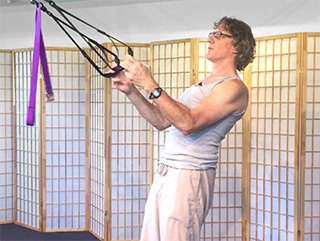 The techniques of Thai bodywork (aka Thai massage) are the foundation of CTB bodywork. They are ingenious ways of applying compression to muscles during passive and active movement. Muscles need balanced strength for pain-free movement. The CTB corrective exercise methods restore and maintain healthy muscle tone and function. Studies have shown that over 80% of pain complaints presented at clinics are likely to be caused by myofascial trigger points rather than actual tissue damage, arthritis, bone spurs or other diagnoses. These diagnoses can lead to inappropriate treatment with drugs, steroid injections and surgery. The Coaching the Body approach has a high rate of success with even very serious pain across a wide variety of diagnoses. I refer many patients to Doug that need extensive soft tissue work to relieve their pain. He is highly skilled, knowledgeable and very effective. Doug is great! He has helped me and many of my personal training clients. I often refer people to him that are experiencing pain and movement dysfunction. He consistently delivers great results, helps me keep people moving! When I first came to Doug, I could not move my left shoulder without pain and could not swim. With his treatments I got out of pain, was able to continue training, and not only finished the Mont-Tremblant IronMan, I won! I could not have done it without him! Doug is an extremely knowledgable bodyworker. He is a very professional and caring person. Also, he explains what he is doing and how the muscles correspond with a certain trigger point in the body. I highly recommend him! Amazing results! Recommending Doug to everyone I know. So grateful for Doug’s patience and expertise. He’s truly gifted. I’ve had a painful and stiff neck for 3 months and after various types of treatment Doug is the only person that has been able to help. Doug very obviously knows what he is doing. I went for relief from a specific injury. I was able to go back to work the next day.